Today’s top smartphones from Apple and Samsung offer amazing screens, high-resolution cameras, and ever-increasing amounts of storage and battery life. But there’s one area where even the best phones disappoint: playing audio through the built-in speaker. Many people have turned to wireless Bluetooth speakers as a way to enjoy better quality sound from their mobile devices. With their larger drivers, a portable speaker can play louder and clearer without distorting. The marketplace for speakers is getting crowded with products from Jambox, Urbanears, and of course, the Beats Pill speaker by Dr. Dre. At CES 2015, I was introduced to a Bluetooth speaker that really stood out from the crowd. The Superstar Backfloat from Monster can do one thing these other speakers cannot: it can go swimming in the pool with you! Think about that for a second: electronics and water are not a good mix. 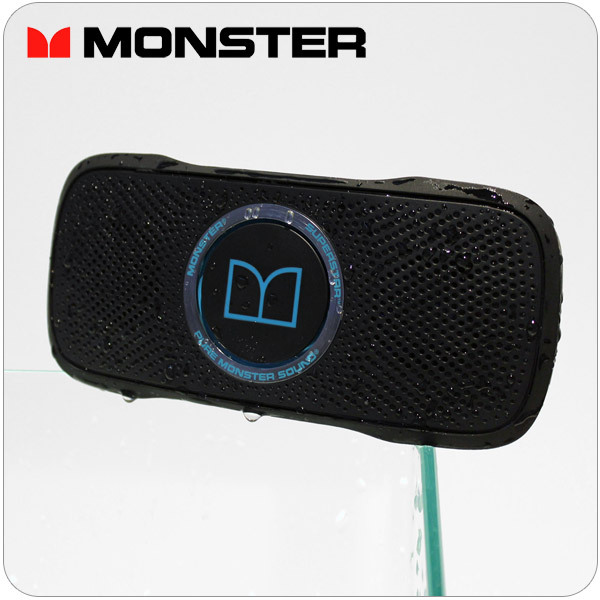 Monster has managed to take a portable Bluetooth speaker and not only make it waterproof, but it also floats on the surface instead of sinking to the bottom. MobileMars is excited to announce the latest addition to their catalog of mobile accessories: Bluetooth speakers! We are now stocking the BX-100 and LX-100 Bluetooth speakers from AudioSpice. These speakers are printed with the logos of NCAA colleges and universities. They make an excellent gift item for students, alumni, and anyone who just wants to show their support for their favorite team. Let’s take a minute to explore each item and its features in depth. The BX100 is a rectangular speaker that’s a little bit smaller than a soda can. The front grille features the team logo printed in full color. On top, there are four buttons for volume and song controls, as well as answering calls using the built-in microphone.